We congratulate our students who took part in the US Open Competition and brought home 17 medals in all!! We have 5 first prizes, 4 second prizes, and 8 third prizes. This is a Great Victory!! Dr. Mutsuko Dohi: she was born in Sapporo, Hokkaido, Japan. After graduating from the prestigious Toho-Gakuen University in Tokyo, she returned to Hokkaido to teach music and perform with musicians of the Sapporo Symphony Orchestra and other well known groups. In 1997, she moved to Russia to increase her knowledge of music at the St. Petersburg Conservatory of Music. In 2000, she placed second in an international chamber music competition in Kiev, Ukraine. Later that year she toured across Russia, performing as a soloist with local orchestras, such as The St. Petersburg Philharmonic Orchestra, Hermitage Chamber Orchestra, Volgograd Symphony, and the Kislovodsk Symphony. Since 2001, Dohi has been the music director of the annual Japan-Russia music festival, “Japanese Spring in St. Petersburg”. In 2001, she also received a postgraduate degree from the St. Petersburg Conservatory. In 2003, she place second in an International duo competition in Kazan, Russia. That same year, was also “The Japan Year” in Russia and she was awarded by the St. Petersburg Governor and the General Consul of Japan for her invaluable contribution toward Japanese-Russian cultural exchange. In 2006, the Japanese Consul in St. Petersburg expressed its gratitude for her dedication as a cultural ambassador of Japan in Russia by presenting her with a commendation award from the Japanese Government. In 2007, as a part of the G8 Hokkaido summit, she was appointed by the Ministry of Foreign Affairs in Japan to perform at the opening of the Marinsky Theatre New Concert Hall in St. Petersburg, Russia. In 2008, Dohi was a jury member of The Serebriakov International Piano competition in Volgograd, Russia. In 2006, Dohi returned to Japan to teach at Fuji Women’s University in Sapporo and perform in local concerts. She taught at Fuji Women’s University until the spring of 2009 when she moved to the United States. 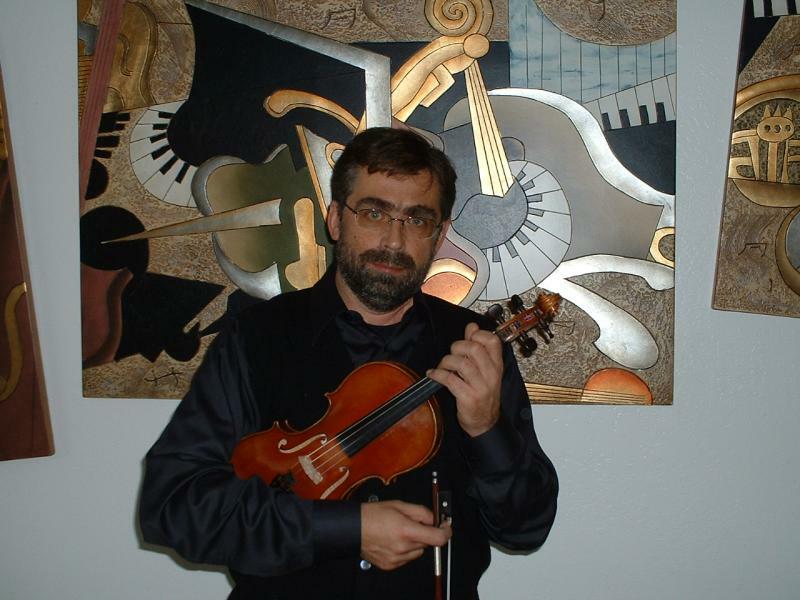 Dr. Arthur Mikhailov:Born into a family of musicians, Arthur Mikhailov began playing violin at six years old. Arthur's first teacher was his father Anatoly who was the member of Moscow Philharmonic Orchestra. Arthur graduated with Honors from the Moscow Conservatory and also became a member of the Moscow Philharmonic. Dr. Mikhailov studied with Professor S, Snitkovsky and Marina Yashwili. He also became the assistant of Marina Yashwili in the Moscow State Conservatory. At the same time he performed as a soloist of Moscow State Philharmonic in Moscow, Saint Petersburg, Kiev, Minsk and many other cities of Russia. He performed with Lorin Mazel, Kurt Mazur, Maris Yansons, Yury Timerkanov, and Valery Gergiev. After coming to the United States, Arthur Mikhailov joined the Sacramento Symphony, San Francisco Opera Orchestra and later the San Francisco Symphony. For ten years Arthur Mikhailov was the concertmaster and soloist of the Russian Chamber Orchestra. At the present time, Arthur Mikhailov successfully performs solos with the ECYS Orchestra, led by Dr. Kolchinsky, Music Director and Conductor, and other orchestras and chamber groups. He also teaches in his violin studio, in Mountain View. In 2007 he became the member of the Fortnightly Music Club of Palo Alto, where he performed several solo and chamber programs. Ms. Beverly Rollins: She Beverly Rollins holds bachelor and master degrees in piano performance from IU Bloomington, and a masters in Computer Science from Oregon Graduate Center. She was staff accompanist at Duquesne University in Pittsburgh, Pennsylvania, where she accompanied in the studios of Pittsburgh Symphony musicians. In 1997 she moved to Silicon Valley to chase the dot com boom with her husband and two children. Influential teachers have included Henry Upper, Lucy Greene, Sheila Paige, and Irene Schrier. 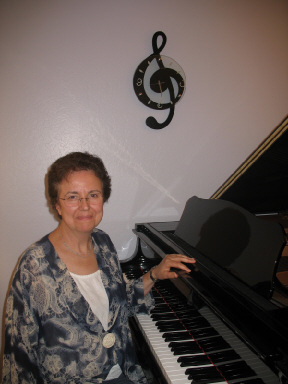 Beverly loves to teach piano at the beginner through advanced levels. She focuses on sound technique and solid understanding from the very first lesson. Her approach is gentle and emotionally present. She is most influenced by Shenkerian analysis, the Suzuki Method, and the technical teaching of Dorothy Taubmann. Beverly coaches and accompanies students of local intrumental teachers. A member of Chamber Musicians of Northern California, she is an avid chamber musician. She also plays piano and recorder at her church. She has just recently begun studying voice with Karl Schmidt and sings in the University Chorale at Foothill College. Ms. Nataliya Shishkina: Highly knowledgeable, creative and resourceful Music and Art Instructor with over 10 years experience in developing students' interest in appreciating music and art through teaching theory, history and practical skills. She graduated from Azerbaijan Academy of Music, Majoring in Piano Performance, participated in many piano concerts and was a member of Azerbaijan State Capella. Nataliya also holds a Master’s Degree in Architecture from Azerbaijan University of Architecture and Construction. After coming to the US, she worked as a Teaching Assistant in Montessori School, Sunnyvale, CA, where she helped with supervising the classroom and developed a good rapport with students in order to cultivate a creative and encouraging atmosphere. Later, working as an Independent Music and Art Instructor and Child Care Provider, she planned different activities to enhance the emotional and academic development of children; offered one-on-one and small group lessons of music and creative art. Enthusiastic about music and art with the strong wish to teach, Nataliya continues working with students of all ages. Her music lessons illustrate all musical concepts through activities that allow students to experience different music styles; integrate rhythm, harmony, singing, conducting, music history, and sight reading; inspire and encourage students to raise their self esteem and self-confidence. Dr. Bakyt Bekdjanov: was born in Bishkek (Kyrgyz Republic) and studied at the Musical College of MoscowState Conservatory, Nijniy Novgorod State Conservatory , Postgraduate school of Nijniy Novgorod State Conservatory (Russia). He has taught at Nijniy Novgorod Conservatory (Russia), Kyrgyz National Conservatory and State Music School (Kyrgyz Republic). He has been a Principal of State Conservatory Symphony Orchestra (N.Novgorod, Russia), Principal of Opera Theatre Orchestra (N.Novgorod, Russia), Principal of Arzamas Opera Theatre (Arzamas, Russia), Principal of N.Novgorod Festival Chamber Orchestra (Russia), Concertmaster of ARTS-VIVA Chamber Orchestra (Moscow, Russia), Principal of Kyrgyz National President Chamber Orchestra (Bishkek). He currently lives in Sacramento, teaching and playing in Stockton Symphony, Modesto Opera. Also, as a member of the Foothills String quartet he plays series of concerts in Northern California. Ms. Inna Stsepanenka:My life is always focused on music. I started studying music at the age of six in Minsk Regional Music School, Belarus. Later, I transferred to the Belarussian Music college for gifted students where my teachers were Arkadiy Plostak, Evgeniy Mozgovoy, and Michail Dayneko, and I concentrated on performance technique, expression, and solfeggio. I have learned the best traditions of the Belarussian violin school. I finished full course of music studies in violin, piano, music theory, harmony and ear training and graduated with a degree in violin performance. I completed Master’s Degree in education in Belarussian State University. At that time, I performed in many musical events as a soloist, and as a chamber musician. I became a member of the Belarussian University Chamber Orchestra. I always considered music as an enriching part of community life, and I organized music events such as festivals and other celebrations. I hold my Master’s Degree in Education from the Belarussian State University. I worked as a teacher for many years. My heart’s goal was to bring out the full potential in each student. I believe that music is for everyone, not just the ones with special talent. My favorite thing to tell students, “Anyone who loves to play music is welcome here – the student is the most important person in the classroom”. Moscow, Russia. Larissa says: " I was extremely lucky to have several brilliant persons and musicians as my music teachers, who transferred to me, the best music performance traditions of Henry Neuhais, one of the founders of the Russian Classic Piano Performing and Pedagogy School. After graduating from the State Conseratory of Music with Honor, I worked as a solo piano performer and accompanist for violin players and vocalists. At the same time I studied psychology in Moscow State University, and worked on Moscow TV Shows". After coming to US seven years ago, Larissa founded the Music Teacher Alliance Studio, where she enjoyed teaching her students privately. Larissa is an Active Member of the Fortnightly Music Club in Palo Alto, and the Los Altos Branch of Music Teachers Association of California.